En la actualidad, con la llegada de nuevas tecnologías, pantallas HD, los smartphone, etc… parece que se nos está olvidando la importancia que tiene imprimir las fotografías, muchas parejas prefieren tener los recuerdos de su boda en un USB pero no hay nada como tenerlas impresas en un álbum, tener algo material, que se pueda sentir, algo que perdure en el tiempo y que puedas conservar, como dicen muchos grandes fotógrafos las fotografías no existen hasta que se imprimen. ¿Cuantas fotografías perdemos por tenerlas guardadas en un teléfono móvil o en un disco duro y no imprimirlas? Un buen álbum de boda es un tesoro que gana mucho mas valor con el paso del tiempo. Yo lo tengo muy claro, uno de los días mas importantes merece estar inmortalizado en un formato a la altura de eses momentos, en nuestros álbumes no solo imprimimos fotografías, contamos la historia de ese día. Álbumes con una GRAN CALIDAD de imagen y GRAN CALIDAD de acabados. At present, with the arrival of new technologies, HD screens, smartphones, etc … it seems that we are forgetting the importance of having the photographs printed, many couples prefer to have their wedding memories on a USB but there are Nothing like having them printed in an album, have something material, that can be felt, something that lasts in time and that you can keep, as many great photographers say, the photographs do not exist until they are printed. How many photographs do we lose by having them stored on a mobile phone or on a hard disk and not printing them? A good wedding album is a treasure that gains much more value with the passage of time. 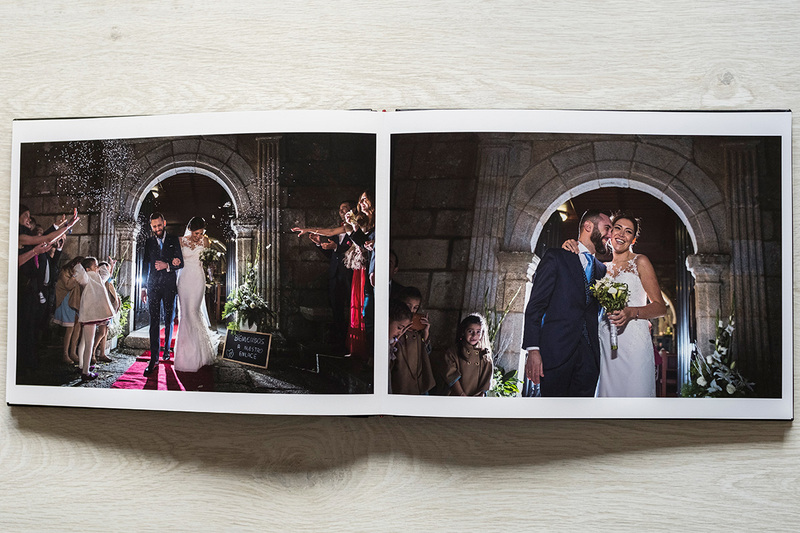 I have it very clear, one of the most important days deserves to be immortalized in a format at the height of these moments, in our albums we not only print pictures, we tell the story of that day. Albums with a GREAT QUALITY of image and GREAT QUALITY of finishes.